Mara is Google’s Head of Social Solutions for North America. She started at Google in 2003 as a Creative Maximizer, working with advertisers to improve their ad performance primarily via keyword, ad text & campaign optimization. Over the next nine years, Mara’s experience across Google ranged from Vertical Sales & Operations to her role as a Search Lead, where she worked on global knowledge sharing & broader search adoption programs. She kicked off 2012 by moving into her current role, in which Mara helps brands to get the most out of Google+. One of the features of the platform she’ll speak to in her session is Ripples, with reporting that creates a visual representation of the way post content has been publicly shared across the Google+ ecosystem. Circle size is commensurate with the impact of an individuals share, she explained, so if an individual has a large circle, their share has a larger impact than the share by an individual with a smaller circle. Social annotations are another of Google’s tools that marketers should absolutely take advantage of, according to Mara. Advertisers who enable social annotations on their search ads see an average CTR increase of 5-10%, she said, with some advertisers reporting significantly greater impact. As a consumer, she said, “I want to see the recommendations of my friends & family as I search, I want to see more information from brands that I like, and I want those preferences integrated seamlessly into my search experience.” Based on the CTR & CNV impact of social annotations, they know that consumers find the integration valuable and that they’re delivering an improved search experience. Marketers are closer to understanding the value of social and accurately measuring ROI, Carson said. “We’re catching up for two reasons: One, we’re getting better at translating what the data is telling us into words and wisdom that CMOs and non-digital purse string holders can understand,” he explained. Secondly, said Carson, “…it’s a bit of a moving target (as most things are in the digital industry) as new platforms come onto the scene and others move the goal posts.” There is no doubt there is enormous value in having social media – or real-time digital response mechanisms – as part of the marketing mix, as participants will learn in this session at SES. Do you have your social ROI down pat, or are there areas you could stand to improve? Share your thoughts and questions in the comments. Search and social are indeed too sides of a single coin. You want to know what your family or friends are recommending you, while at the same time, you also want to know more about what they use. Putting search and social together really can make a huge difference for your online marketing and lead generation. True that, James. They should never have been pitted against one another as competitors. Search & social give a more complete picture together. 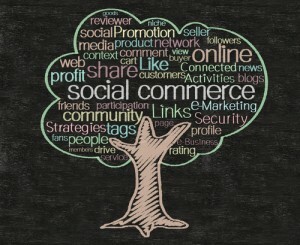 Facebook and google+ are the best to share our thoughts online and increase our brand popularity. google+ is good for sharing information with new people whereas facebook is used for sharing information with known people. Hi Hemanth, I’d say in some cases that’s true, though I’ve seen plenty of exceptions. Facebook can be a great audience building and brand exposure tool, as well.